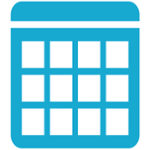 Add 30 year single family rental finance to your arsenal of products. Many of your clients own them. Now you can finance them and earn up to 3 pts on each closed loan. 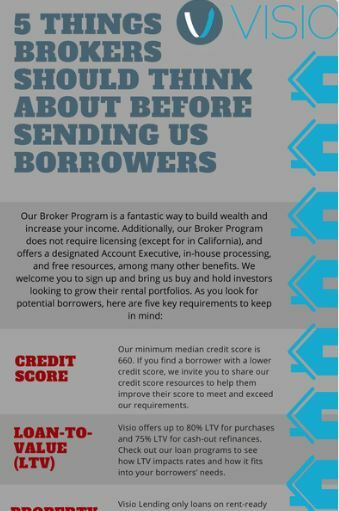 Know any landlords that need our financing? 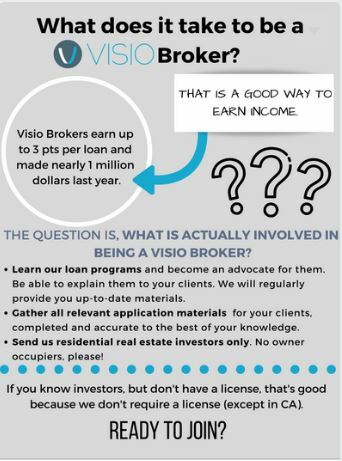 Sign up to be a Visio Broker, and earn up to 300 bps on every closed loan. If you have not worked with us in the past, simply fill out the form to the right and an Account Executive will be in touch regarding your approval. If you have worked with us in the past, contact your Account Executive directly. Advance rates up to 80% on rent-ready homes. See our rates. 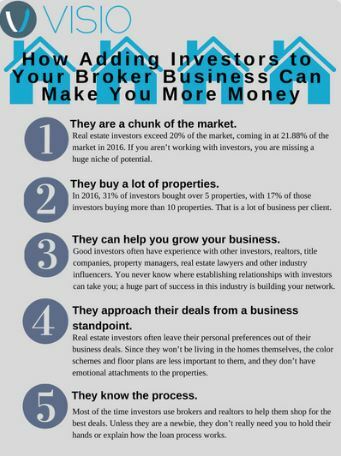 Learn more about why buy and hold investors keep coming back to us here. Not in the business of brokering commercial purpose rental loans or see opportunities from time to time? 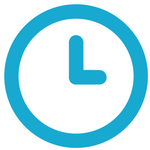 Or too busy to integrate a product offering into your broker lineup? Check out our Referral Program.